Get the most out of your advertising spend with Valpak of Volusia direct mail advertising. Be a part of the Valpak Blue Envelope of coupons to reach thousands of residents and snowbirds in east central Florida. Valpak of Volusia uses print marketing expertise to design the right ads for small businesses like yours. When you advertise in our envelope, you have several options to generate the best response. We can help you create the best offers and design your insert, from coupons to loyalty cards to circulars. While people love looking through the coupon offers each month, they also need to find you online where they conduct the majority of their product and service research. Valpak can create a business website or highly-visible Business Profile Page for you on valpak.com. Our staff is Google Ads certified to help small businesses get found online using expert keyword identification and placement, as well as pay-per-click advertising and social media marketing. Valpak’s marketing campaign tracking tools are designed to measure consumer response to your printed coupon and digital marketing. Performance dashboard and call tracking offer consumer response analysis and reliable proof of performance that works well for many business categories: shops and restaurants, entertainment and travel, automotive, professional and general services, health and medical, home and office and more. Call now to learn about affordable direct mail and digital advertising in Daytona Beach, Port Orange, Deltona, Ormond Beach, Deland, New Smyrna Beach, Edgewater, Orange City, Debary and other nearby cities. For specific dates and coverage, contact your Valpak of Volusia representative. 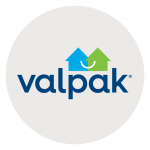 Valpak of Volusia is an independently owned Valpak franchise. Video Testimonial: Hardware Sales, Inc.